The development and refinement of the autonomous decentralized system (ADS) by Takemochi Ishii, Hirokazu Ihara, and Atsunobu Ichikawa has enabled the safe and timely operation of urban and long-distance transportation infrastructures. Modeled on biological systems, the ADS incorporates a distributed database and broadcast communication protocols to provide a flexible system that can adapt to environmental disturbances or failures. With ADS, repairs or changes can be made without having to shut down the entire network as with a centralized system. Drs. Ishii, Ihara, and Ichikawa jointly conceived the ADS, developed its theories and tools, and applied it to several high-impact infrastructures. First introduced in 1982 in the Kobe municipal subway system, ADS has been incorporated in practically almost all of subway operations in Japan. 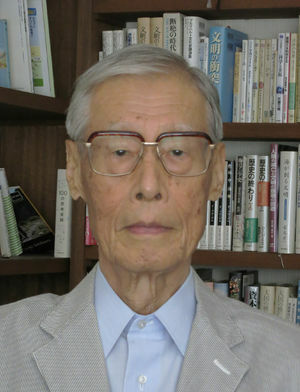 Dr. Ichikawa is a Professor Emeritus with the Tokyo Institute of Technology, Tokyo, Japan. This page was last edited on 18 January 2016, at 18:13.